The Baker "AB" and "ABX" Band Resaws are designed to save space but give you the same great features of larger band resaws. 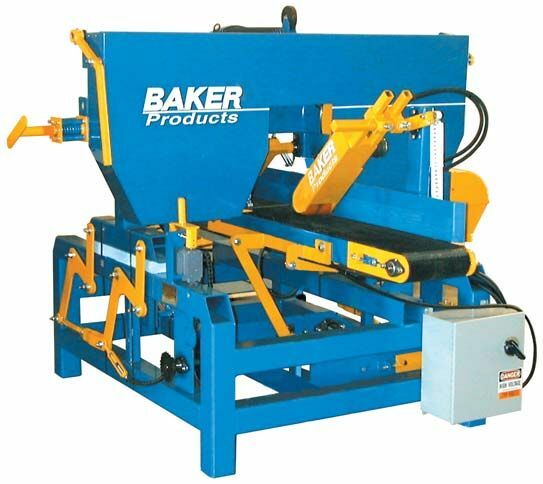 The Baker "AB" and "ABX" feature the frame and headrig of our "B" or "BX" model, but use an "A" or "AX" model conveyor belt. This means that the head-rig can be adjusted up or down and the conveyor stays at a fixed height. Because the conveyor belt stays at a fixed height, it is easier to interchange and integrate with other material handling systems in your facility. This versatile band resaw is perfect for those who need a space saving high production band resaw.